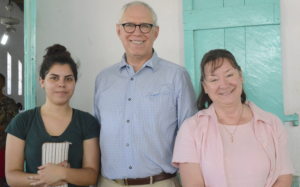 Josué’s story began on January 2, when the enemy attacked his health. It began with his contracting typhoid fever, which progressed to pneumonia and on to severe anemia with a dangerously low blood count. The fever and infection coursed through his body with no apparent relief in sight and no successful diagnoses from the doctors. 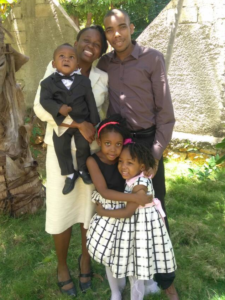 Finally, the primary care doctor offered the only solution to save Josué’s life and that was to medevac him out of Haiti to Cuba . The cost was staggering and momentarily stunned us, but we knew this was the only way to save his life. 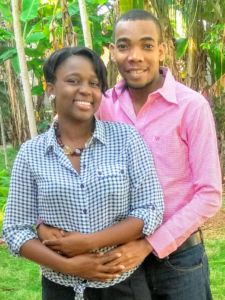 In an amazing way, God helped us quickly pull the finances together, and Josué arrived in Cuba on the 26th of January. After five weeks of struggling with a different antibiotic every five days, blood transfusions, daily shots to increase his white blood count, and other efforts, finally the fever left him!! God answered all the prayers! Hallelujah!! Josué is home now and shares a word of testimony. 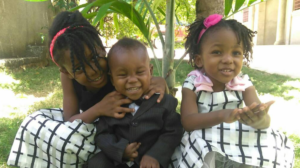 A congregation of over 1000 gathered at Hosanna Baptist Church the first Sunday Josué and Emmanuella returned to Jacmel. Many came to the service as much as an hour early just to get a good seat to see his family enter the building. Then as the service was opening with prayer, he entered the building. Those who were watching for him gave a signal and the prayer was interrupted with a standing ovation and joyous clapping! Then for the next two and a half hours, singing and testimonies of gratitude to God continued, followed by Josué’s testimony and then the morning message! Finally, the four-hour service was over; but still that wasn’t all, because so many folks wanted pictures of Josué and his family. 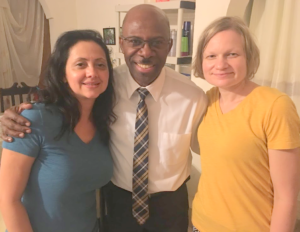 This reaction occurred because twice-a-week intercessory prayer meetings had been held from 8 p.m. to midnight for over two months. What rejoicing! What thanksgiving! What praise to our God! 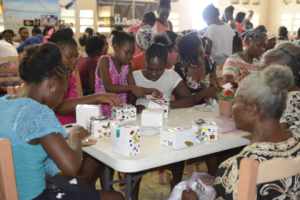 Without our camp scholarships it would be impossible for any young person to attend Camp Bossier because the Haitian culture does not provide any type of work opportunity for young people. However, we still encourage personal participation to some degree in order to develop their appreciation for the excellent camp accommodations. Camp Bossier offers a spiritual philosophy in an environment that motivates and compels a young person to pursue a new life in Christ. We emphasize both the spiritual and emotional growth in the camper’s life, promoting a change. 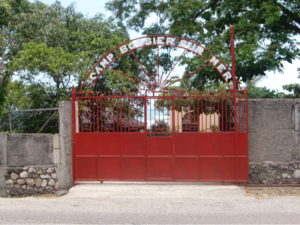 Pastor Solomon says that camp should resemble a hospital for sick souls, a cemetery for the dead deeds of the flesh, and a center for spiritual renewal. Please be a part of this eternal investment. 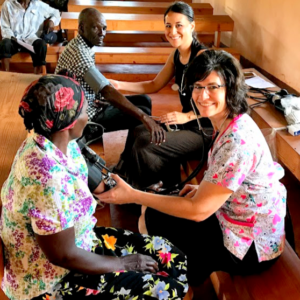 Once again, God used Doctors Patrick Hawley and Sem Victorin, along with their highly qualified medical team of Renata DosSantos, Teresa Dehmel, Heather Welch, and Leah Eggenburger, to consult and treat over 600 patients during the five days of free health care clinics in five extremely poor rural areas. 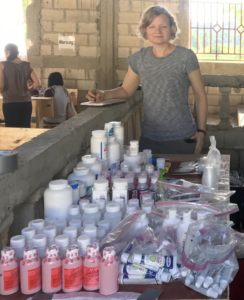 We set up two nurse stations, three doctor stations, and a pharmacy. 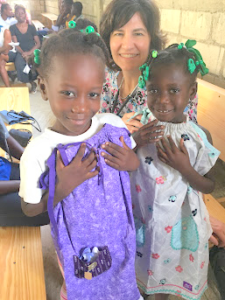 Mothers who came with little girls were thrilled when given a little dress made by church groups in the States. 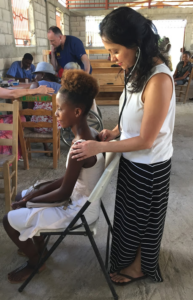 These free health care clinics provide an opportunity for evangelism. The heartfelt expression of thanks from all the recipients was payment enough. 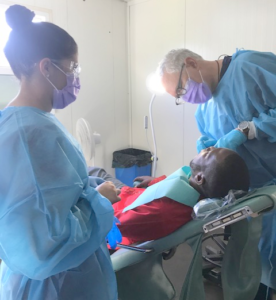 God further blessed us with our first dental team of Dr. Michael Gusar with assistants Naisha Varela and Germaine Gilbert. Extractions were done on 38 patients in four days. The team also distributed free toothpaste and toothbrushes in a tent-type community. 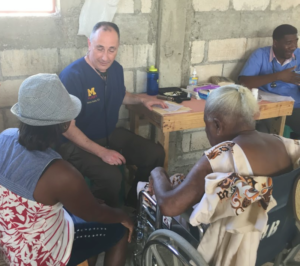 We thank the Lord that these medical professionals felt God’s calling to leave their practices, their air-conditioning, and their comfortable surroundings to sacrificially minister with MFH in spite of the heat and many discomforts. Craig Dehmel and his team successfully roofed two churches. Mont Flueri church came first, and then Pastor Salomon’s church. Bethany Baptist Church in Oban has leaked for a long time. Finally, through this opportunity, they not only got a new roof but were able to add seven feet to the length of their building. This additional space has given them a nice platform which they did not have before. We are so grateful for Craig and the team who came and worked in the rain to accomplish these two projects! Thank you!! Attendance keeps growing year by year. One hundred seventy-five ladies filled the cabins and then overflowed onto the floor of the all-purpose building. It resembled a giant spend-the-night party. This year’s theme was “Faith – God’s Gift.” Practical lessons on faith were presented by Mrs. Andrea Pisarcik and Mrs. Shawn Smith. The craft was a decorated jewel box with laminated Bible verse cards on faith. “The Lord bless you and keep you; The Lord make His face shine upon you, and be gracious to you; The Lord lift up His countenance upon you and give you peace. We are powered by your prayers and enabled by your gifts, Thank you!